Sure, the trailer is a little cheesy and the “it’s a bird, it’s a plane” nonsense must end along with the numerous mentions of her cousin (in case you missed it-it’s Superman) but aside from a few awkward lines (bound to happen in a series trailer) the show ultimately looks like a lot of fun. Pulling it seems from vein of The Flash the show exudes optimism and enthusiasm. 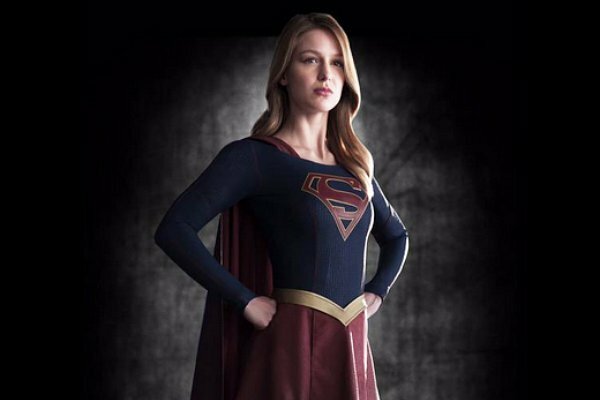 As someone who hadn’t been 100% sold of Melissa Benoist as the lead it’s nice to see her playing up the charm of the role as well as the heroics. Even more exciting about the sneak peak is the feminist leanings already apparent. Superheros have long been a boys club (as evident already if online reactions are anything to go by) and it’s nice to finally see a show that casts a female character as it’s lead hero. Earlier on in the year CBS Chairman called the series a “female empowerment story” and that alone will have me tuning in. With all of the vitriol that characters such as Laurel on Arrow and Iris on The Flash unfairly face it will be a refreshing change for a female superhero to be taking the charge. Beyond that though the cast looks charming-with Calista Flockhart as an immediate standout-, the set pieces vibrant and fun all the while holding close to it’s comic book roots. The flashes of Supergirl costumes was a nice touch. Premiering Monday in the Fall on CBS, take a look at the synopsis and trailer below and let us know what you think in the comments! Next ArticleTV Review: Agents of S.H.I.E.L.D. Finale 2x21 - 22 "S.O.S."